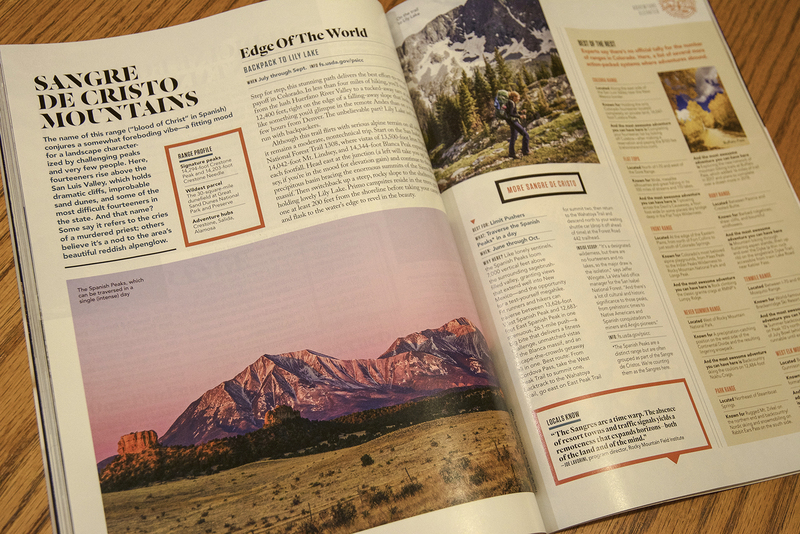 One of my sunrise photographs: "The Spanish Peaks" is being featured in the December issue of 5280 Magazine (the Denver magazine). You may have seen this magazine in the supermarkets. They are showcasing different mountain adventures/hikes/climbs from around the state and telling about some lesser known mountain ranges. 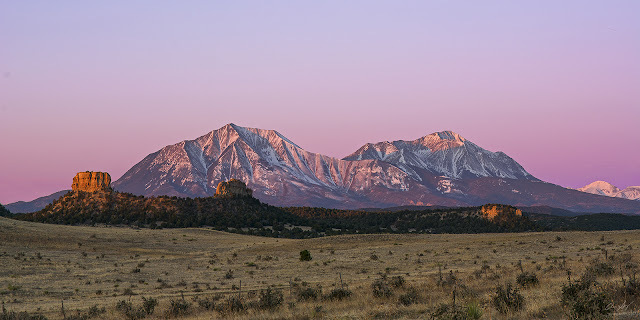 This particular article talks about the long day hike of West and East Spanish Peaks in the Sangre de Cristo mountains. Jason and I once summited West Spanish Peak and have also failed to reach the the summit on numerous other attempts. Right across the page from my image is a shot from one of my favorite Colorado photographers, Jack Brauer, who is basically the Jack Bauer of mountain photography. So, that's pretty cool. I'm a hobby photographer in Longmont who is currently looking into/ learning the ropes in regards to becoming a professional, so to me this is such an amazing accomplishment! Congrats! I actually found your blog and pixel site after seeing one of your photos in the Redstone Review (again, congrats! Getting a photo in a small local paper is still quite the accomplishment to me, and something I'm working towards.) 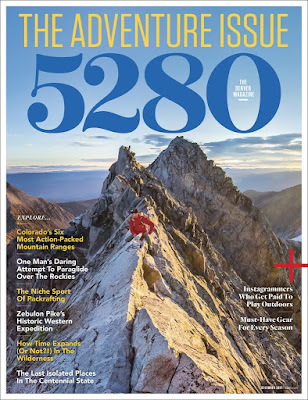 While I have the 5280 issue, I've been busy and haven't cracked it open yet. Anywho, great overall content! It's clear you put a lot of time, effort, and passion into your photography and art, and I've enjoyed reading your blog! Thank you for the kind words Katie!